Following on from our sold out event last year, once again we are having a Burns Supper, with a St Mirren twist! Of course Mr Burns will figure highly, but so will our beloved St Mirren! A three course meal, entertainment from top speakers including our very own Ian Brown, recitations from the brilliant Davy Brown and of course music song and chat from Alistair McDonald, this will be an evening not to be missed! Tables of 10 are available, but smaller numbers can be accommodated on mixed tables. Don’t miss out – this event sold out last year – get your tickets early! Doors open 6.30pm. Event starts at 7pm sharp. On Thursday 1st November at 7PM the Fans Council will hold its AGM in the supporters bar at the Simple Digital Arena. Everyone is welcome to attend. Spaces are filling up fast for the St Mirren Fans Council Golf day set to take place on Thursday 6th September 2018. 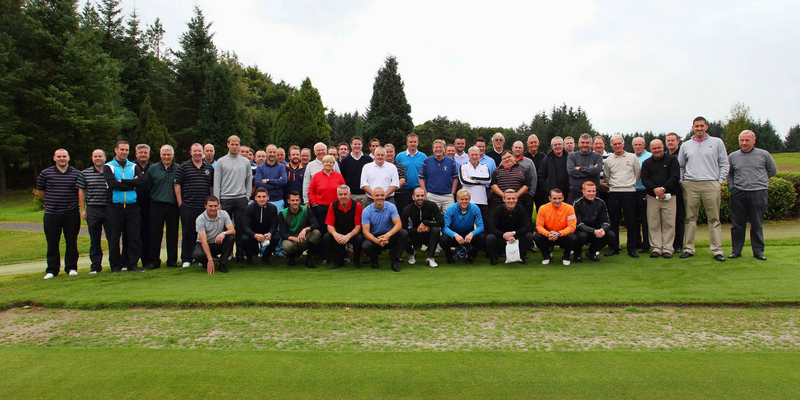 More than 50% of the spaces have sold out as fans take up the chance to play golf with St Mirren stars past and present at the five star, Mar Hall Golf & Spa Resort in Bishopton. Manager Alan Stubbs will take part alongside members of the current squad and St Mirren legends. Prices are set at £100 per person (£300 per team). It’s first come first served so please act quickly to avoid disappointment. If you are keen to take part please send your name and additional two team members’ name to Eric Crossan at eric.crossan@talktalk.net asap. The Fans Council will consider individual entries if you cannot provide a team (subject to demand). 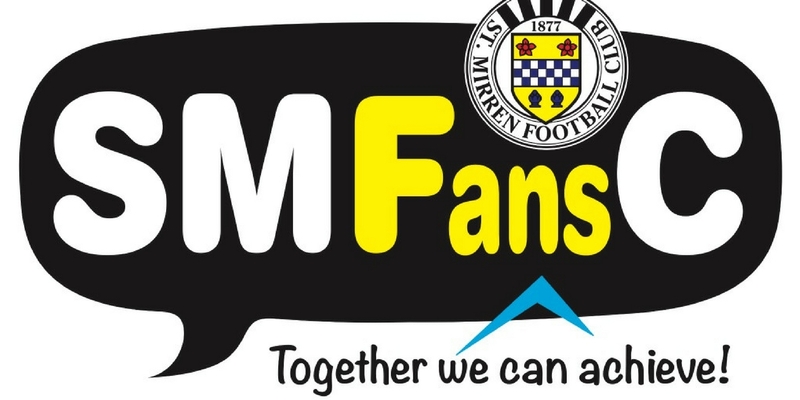 For more St Mirren Fans Council initiatives please visit www.supportsmfc.co.uk. WE HAVE DONE IT AGAIN!!! Saturday wasn’t just a great success on the park we also managed to match our previous Foodbank collection total from December with over 1114KG collected that equates to 2,652 meals more than enough to feed an entire West stand. How incredible are our fans, thank you!!! http://www.supportsmfc.co.uk/wp-content/uploads/2016/10/smfc-logo-trans.png 0 0 Colin Bright http://www.supportsmfc.co.uk/wp-content/uploads/2016/10/smfc-logo-trans.png Colin Bright2018-04-19 11:34:182018-04-19 11:34:18WE HAVE DONE IT AGAIN!!! Renfrewshire foodbank – Livingston game!!! Our last effort was record breaking, we managed to donate enough food to fill the entire West stand and a bit more. Can we go even bigger this time??? http://www.supportsmfc.co.uk/wp-content/uploads/2016/10/smfc-logo-trans.png 0 0 Colin Bright http://www.supportsmfc.co.uk/wp-content/uploads/2016/10/smfc-logo-trans.png Colin Bright2018-04-09 18:34:072018-04-09 18:34:24Renfrewshire foodbank - Livingston game!!! After the success of our last Renfrewshire foodbank collection in December we are doing it again on the 14th of April at our match against Livingston. Our last effort was a record breaker with 2663 meals donated the equivalent of a full West stand. We would love to go even bigger this time so please plan ahead and donate what you can. We have been informed by Renfrewshire Foodbank that at our recent collection we collected a grand total of 1118.32 KG of food enough for 2663 meals. This is our best effort to date and broke the metric ton for the 1st time. A HUGE thanks to all the saints fans and club for allowing us to do it in the 1st place and for helping us out. Also DAFC for their contribution both from fans and directors. SMFC more than just a football club!!! http://www.supportsmfc.co.uk/wp-content/uploads/2016/10/smfc-logo-trans.png 0 0 Colin Bright http://www.supportsmfc.co.uk/wp-content/uploads/2016/10/smfc-logo-trans.png Colin Bright2018-01-25 09:13:032018-01-25 09:19:14WOW JUST WOW!!! Come and join us for the first ever Fans Council Christmas Party. Sunday 17th December in the Supporters Club from 12.30pm to 2.30 pm. Lots of fun, music and games with our DJ Stevie, and lots of St Mirren related prizes. We also hope to have some of the players there to join in with all the fun. The Guy above will also be there of course – it wouldn’t be a Christmas Party with out a Panda Claus! Tickets are £3 for children under 11 and £1 for adults. They are available from Club Reception or on line here from Eventbrite. Eventbrite make a small charge for tickets. The St Mirren FC Fans Council has once again arranged a foodbank collection for the game against Dumbarton on 16th December 2017. From 2:00pm on Saturday volunteers will be on hand at the stadium to accept all donations as we look to support our local foodbank. The response to previous food collections has been amazing as kind hearted Buddies support this initiative. Also toiletries for both men and women. Together we can help feed people in need and build a stronger community in Renfrewshire. Donations are welcome from Dunfermline fans as well St Mirren fans. At the end of last season supporters within the family stand were moved from their seats to allow more Rangers fans to attend the final match of the 2015/16 season campaign. The previous board made promises to provide some sort of compensation to those supporters who were forced to move seats, however, they sold the club before the season started. The new board are very aware of the disruption this caused and would like to make up for it in some small way. In conjunction with the St Mirren Fans Council, we have arranged an exclusive event for season ticket holders in the family stand. It takes place on Sunday 19 March from 12:30pm to 2:30pm and we will be hosting a family fun afternoon in the 1877 Supporters Club. It’s only for those family stand season tickets who were displaced for that Rangers match and is our way of saying thanks for renewing your season ticket. There will be much to keep the children and yourselves busy with a children’s disco, face painting and more along with attendance by current and former players. There is no charge to supporters for this event and we will also be providing a buffet. In addition, the Scotland U17s will be taking on Serbia at the Paisley 2021 Stadium at 3pm and entry is free. So feel free to stay for the rest of the afternoon and watch the Scotland stars of the future. To allow us to cater for everyone we would appreciate it if you could let us know in advance if you are attending. Please email fanscouncil@stmirren.com to confirm your attendance. On the day you will need to bring your season ticket with you to gain entry to the SMFC 1877 Club which is situated at the far right hand side of the main stand near the club shop. Thank you for your continued support and we look forward to welcoming you to the Supporters Club.